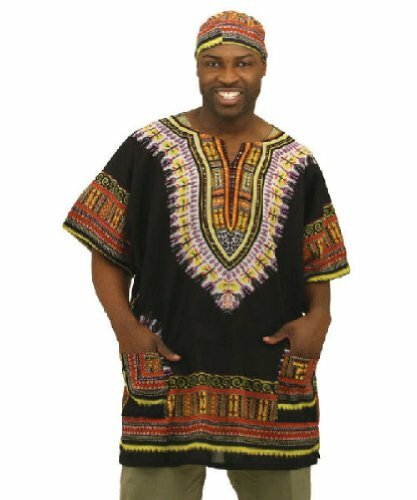 Cool cotton dashikis. Maximum 52 inch bust and total length of 33 inches. Two front pockets. Available in black, lime, orange, purple, white, yellow, red, and other colors. One size fits all. Made of 100% cotton, best if hand washed.